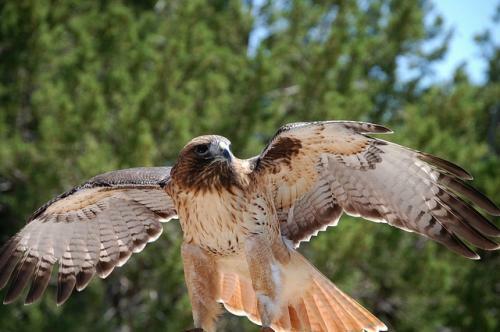 The Red-tailed Hawk, a raptor commonly found in North America, has stopped flying southwards during winters due to climate change and land use. This has prompted Neil Paprocki and his colleagues from HawkWatch International to count the bird population afresh after initial apprehensions that their numbers had dwindled. Paprocki’s team from the US-based non-profit compared data obtained by two American organisations to support their migration theory. The experts used information provided by Raptor Population Index, which counts the birds only at migration sites. They also used information gathered from Christmas Bird Count. It collects data on the bird population during the winter at both breeding as well as migratory sites. After comparing the data, Paprocki’s team recorded 43 per cent decline in the hawk’s population at migratory sites. Also, there was a 67 per cent increase in the number of these birds in the northern region throughout the winter. This shows the changing migratory behaviour of these birds. According to Paprocki, the Red-tailed Hawk has become a year-round resident, giving up embarking on a long journey southwards. Keeping this factor in mind, he highlights the importance of counting the birds at both breeding as well as migration sites to arrive at their exact number. Migratory birds keep shuttling between breeding and wintering grounds. During winters, they fly south, primarily driven by the availability of food. But a study says that an increase in global temperatures has resulted in birds skipping the long journey south. For instance, birds such as the Tufted duck, Goosander, and the Goldeneye are staying back in their breeding grounds in Sweden and Finland instead of flying to Britain, France and Ireland. Is there a future for wetland birds of Sippighat?